During Thanksgiving I was introduced to Roll a Turkey, a fun activity for the kids. 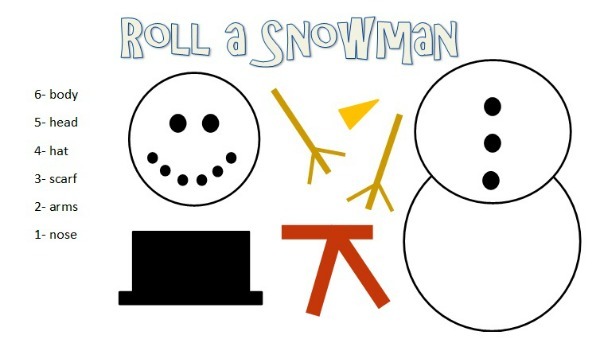 Somewhat Simple created a printable winter version, Roll A Snowman. And it is just in time for our winter class party. You can get your Roll A Snowman Printable Game over at Tip Junkie.